In the Polanco Campus we have four sections: Preschool, Primary, Middle School and High School. All of them include several extracurricular programs that strengthen the development of students in different areas of knowledge and the use of social, motor and emotional abilities. In order to provide continuity in the academic programs, at inception and through High School graduation, we establish verticality in specific programs. The implementation of verticality is carried out through academic coordination departments: International Baccalaureate, mathematics, science, English, Spanish, sports and culture. All of them work in specific projects in accordance with the school grade and follow up assessments. The mathematics coordination department works to detect areas subject to be improved in the teaching programs of all sections in order to achieve more coherence in the sequencing of learning expected in the field of mathematics. We intend for our students to develop logical and mathematical reasoning enabling them to solve problems within different contexts, awakening their curiosity to inquire more in respect of the usefulness of mathematics. The School has always been characterized for being at the forefront in the area of technology with the purpose of providing our students with the technological abilities required to face the future. Currently, our class model is based on programming, construction and design, promoting communication, collaboration and team work. Due to the fact that the dominion of a foreign language is one of the guiding principles of the School and derived from the incorporation into the International Baccalaureate program, some subjects are taught in English. One of our priorities is that our students be inquirers and that they develop the enjoyment of reading. For this reason, our libraries have a significant collection, which is periodically renewed, in addition to the affiliation to virtual libraries worldwide (English and Spanish). We personally work with our students in the area of psychology through specialists, providing support at all times for a better development. Our academic staff is in constant contact with pedagogic novelties thus promoting creative and guided teaching. All sections carry out interdisciplinary tasks where students relate academic contents, realizing the transfer of knowledge. We endeavor for the students to be sensitive to the world that surrounds them. This is why we organize conferences, national and international trips, visits, academic, cultural, artistic and sports activities. The Polanco Campus has participated in several contests, calls and invitations, obtaining in some of them top places and awards. We adopted a program for school violence prevention based on the student’s change of attitude in order to maintain a peaceful and respectful environment at School. We provide students, teachers and parents with a variety of tools so that they work together on the prevention and the planning of concrete actions to face bullying. "Being at home outside home"
Aware of the enormous trust placed by family parents on us, we receive our students with affection; we want them to feel at home. We also promote team work (school-home) in order to guarantee the student’s overall development. We closely work, through a psychology department, with students, teachers and parents in order for our children to acquire emotional and social abilities for purposes of learning to solve their problems assertively and communicate better. In Preschool we have four grades: Nursery, Kinder 1, Kinder 2, Kinder 3 and Preprimary. Each grade, depending on its level, promotes music, art, sports, healthy nourishment and the use of technological tools. All the activities are based on the inquiry units endorsed by the International Baccalaureate. We endeavor for the student to obtain the dominion of its native language and broaden its horizons through the learning of English. By means of music lessons, children are introduced to the language of music through games, rhythms, songs and body movements. At the same time, they learn to listen to themselves and others, promoting respect and social harmony. Art is promoted through games and the exploration of several materials, techniques and images with the aim of teaching students to visually communicate their experiences and ideas. By means of physical education activities, we endeavor for children to develop harmoniously (motor, cognitive and affectionately) through activities that allow them to master body self-control thus acquiring security and trust in themselves. In order to be at the forefront of the digital era, we provide computer classes relying on the use of tools and applications that strengthen our student’s academic program. We have a reading program through which we intend to create a reading habit and for children to acquire the enjoyment of the knowledge and fantasy that exists in the world of books. We do this through fun encouraging activities with the support of parents and the community. The School has always been aware of the importance of the student’s good nutrition, for this reason, we promote nutritional balance seeking the consumption of home-made, fresh, healthy and natural food. "Effective learning teach us to live productively." In the Primary stage of development, the School provides students with the tools necessary to construct a significant learning through a trustworthy and secure guidance offered by our teachers through an overall program. In the Polanco Campus Primary section we intend that the contents of the materials taught cover not only the concepts required by students but, at the same time, that they encourage them to research, create, organize, evaluate and communicate the information on a fun and effective manner, relying on the knowledge of doing (abilities and skills), the knowledge of knowing (knowledge and intellectual abilities) and the knowledge of being (values and attitudes) which will allow them to act in congruence, thus leading to a well-rounded education. Several activities are carried out with the objective of strengthening, on an overall basis, everything that will motivate students between the age of six and twelve: music, dance, oral expression, written expression, sports, games and technology, among many others. We provide a reading program with the purpose of developing in students the ability of understanding texts, and as a learning vehicle that they may use throughout their entire life. We have a library with books in addition to games and a space for silent reading and a space for research by means of electronic and virtual sources. We strengthen the learning of science through practical classes taught at the lab. Students experiment (with documentary evidence and using the scientific method) what they’ve learned in classrooms or, it is the trigger to begin a new inquiry. In coordination with specialized teachers, Primacy students develop and present, annually, a living museum (music, art, traditions and customs, science and technology, etc) reflecting their learning of several subjects, abilities and skills on a main issue or idea (each year is different). Faculty goes, together with the students, through the three years of Middle School, providing them the necessary support in this stage of transition. Teaching on this stage is based on the education of youngsters so that they become inquirers, responsible of constructing their own learning, conscious of future challenges, committed to their community and capable of assuming critical and reflective leadership on the improvement of their surroundings. In the Polanco Campus Middle school Section, education promotes in students a sense of belonging to the world that surrounds them and instilling a positive attitude towards studying and learning. The fusion of the SEP and IB (PAI) programs provides our students with an interdisciplinary education with the intention that they become informed, successful, tolerant, respectful and open minded teenagers. The guiding principles that lead our job commit us to promote universal values such as tolerance, solidarity, intercultural understanding, conservation of the environment, equality and self-confidence. The main academic subjects are: language (Spanish), with wording and literature class-workshops and foreign language (English); mathematics, with class-workshops; study of biology, physics and chemistry during the three years of Middles School; humanities based on the perspective of individuals and society; technology through design and robotics; sports as the essential element for the student’s physical and mental health; artistic education (dance, music, drama and painting) as the space for the expression of students from an interpretation standpoint. In High School, our vision is based on the conviction and commitment of educating free human beings that acquire the value of study, reflection, critical thinking and respectful dialogue; all of the foregoing, as a comprehensive part in their personal development. As an education institute, we are ascribed to the UNAM and the International Baccalaureate organization. We provide several activities and programs that complement the student’s overall education. Thanks to the education quality and high profile of our graduates, several national and international universities have granted them academic excellence scholarships. Our institutional vision relies on the conviction and commitment of educating free human beings that acquire the value of study, reflection, critical thinking, respectful dialogue and service to the community; all of the foregoing, as a comprehensive part in their personal development. We are convinced of the importance of a good communication with the students and their families, therefore, we meet with parents and teachers to discuss and exchange points of view on the students. We organize cultural visits to several places in Mexico City so that students may live new experiences outside their classrooms. Students also travel to other states of the Republic and abroad to understand the diversity and environment that surrounds them. We are currently visited by national and international prestigious universities in order for students to plan their future professional life. Since we are a multicultural School where we educate students with a critical thought, the High School section organizes each year a UN Model providing students with an opportunity to reflect on, and collaborate to propose solutions to current problems during a simulation of a UN session. The Colegio Ciudad de México receives renowned speakers to encourage teenagers to face any challenges they may encounter in their lives as students. We also carry out a Book Fair. This is an event of an academic and cultural nature that encourages our young students to keep developing their enjoyment of reading and learning. The High School section organizes “Cultural City”, a great Art and Cultural festival to celebrate the human being during two days. 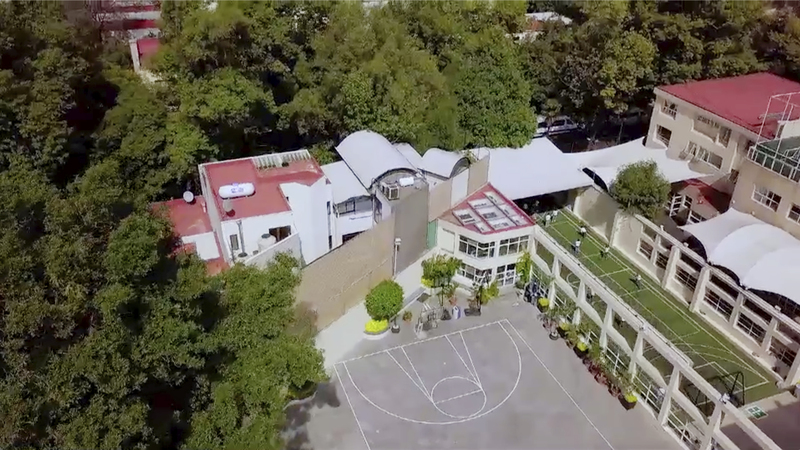 During the evening, the Colegio Ciudad de México, Polanco Campus, provides a variety of sports, cultural, academic and recreational activities. Students acquire abilities and knowledge to receive a comprehensive education. Many of the extracurricular activities that we provide are designed for each stage of the student’s development. The whole staff that teaches the courses and activities is comprised of specialists in their area who work closely linked to the students. The Polanco Campus provides several academic, recreational, sports and cultural workshops in the Preschool section (13:00 through 13:50 hrs.) and Primary section (14:00 through 14:50 hrs.). The After School program is a service provided by the Polanco Campus to its Preschool and Primary students after school hours. The program includes several recreational, sports, cultural and homework assistance activities (English and Spanish). It also provides meal services where healthy, balanced and different menus are prepared every day. Families may request the service in accordance with their specific needs (either by time, day, meal only, two days a week, full time, etc.). The time of departure is 19:00 hrs. for both sections. The After High School program is a service provided by the Polanco Campus to its Middle and High School students from 15:00 through 18:00 hrs. It includes academic advising (regularization and academic doubts on the subjects of English, history, mathematics and physics, as well as assistance on the performance of homework, inquiry tasks, essays and reviews for exams in the areas of science, humanities and English) cultural and sports workshops. The Sports League in the Polanco Campus provides Football, Basketball and Volleyball classes to students from Kinder III through High School. It is comprised of several categories based on the student’s year of birth. A specific program is carried out to suit all the education stages of students. The league’s main objective is that the student develops an academic-sports comprehensive education within a healthy, secure and playful environment. Games and competitions are organized against other teams of Mexico City schools through sports organizations.